Welcome to Girl Meets Oven. 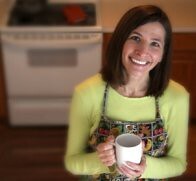 Grab a cup of coffee and join me in the kitchen for a few baking secrets, tasty recipes, silly stories and laughs. Girl Meets Oven is not just a baking blog. It’s a love story. Make that a romantic comedy, like When Harry Met Sally. Neither Harry nor Sally knew at first that they would fall in love. But then their love bloomed through a series of funny blunders. That's how it is with me and my oven. Here you’ll find the blunders, stories and tips I encounter as I get to know more about baking and fall in love with my oven. Copyright © 2019 Girl Meets Oven. Titan Theme by The Theme Foundry.